COCOA BEACH, Florida - Florida saw an increase in unprovoked shark attacks in 2016 and accounted for 60.4% of all shark attacks in the U.S. and 39.5% of the world’s total, according to the University of Florida International Shark Attack File (ISAF) 2016 Worldwide Shark Attack Summary. Both percentages are higher than the recent (2011-2015) averages of 49.2%, and 29.0% respectively. The total of 32 Florida bites was well above the recent five-year average of 23.8 (which included a recent record low of 11 in 2011), but did not approach the record high of 37 that occurred in 2000. Volusia County (Daytona Beach area) had the largest number (15) of unprovoked incidents in the Sunshine State, nearly doubling Volusia's recent five-year average of eight attacks per year. Other Florida counties having bites were: Duval (4); Brevard, which includes Cocoa Beach, (3); St. Johns (3); Indian River (2); and Flagler, Lee, Palm Beach, Pinellas, and St. Lucie (1 each). Researchers say that the higher number of shark bites in Florida waters closest to Disney World and Universal Studios in Orlando is attributable to high aquatic recreational use by both Florida residents and tourists, including large numbers of surfers, and to the rich nature of its marine fauna. 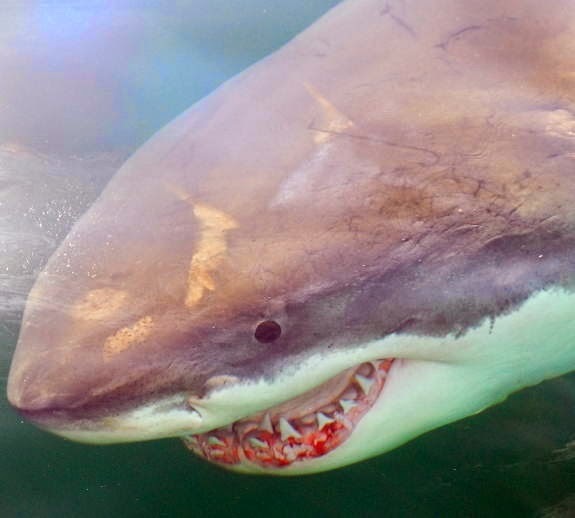 Although the number of shark attacks rose in Florida, the United States saw a decline in shark attacks nationwide from 59 in 2015 to 52 in 2016 despite a prediction for a higher trend. The U.S. accounted for the most amount (65.4%) of shark attacks in the world (including ten in non-North American Hawaii). Outside of Florida, U.S. attacks were recorded in Hawaii (10), California (4), North Carolina (3), and South Carolina (2), with single reports in Texas and Oregon. Hawaii and California totals were comparable the recent five year averages of eight and five per year, respectively. In addition to the U.S., unprovoked shark attacks occurred in Australia (15), New Caledonia (4), and Indonesia (2), and single incidents were reported from the Bahama Islands, Brazil, Japan, La Reunion, South Africa, Spain, and Sri Lanka. Australia's total of 15 unprovoked attacks was a bit higher than the recent five year (2011-2015), average of 13.2 per year, but lower than recent highs of 18 in 2015 and 22 in 2009.